CTI Electronics Corporation is a global leader in manufacturing high-end Rackmount keyboards for industrial purposes. CTI’s rackmount keyboards are designed to provide excellent operational performance in rugged and harsh industrial environments. The design and make of these keyboards are very different from other brands, if you have a custom requirement then feel free to check www.ctielectronics.com for more information. We cater to custom designs that are specific and upto the mark. 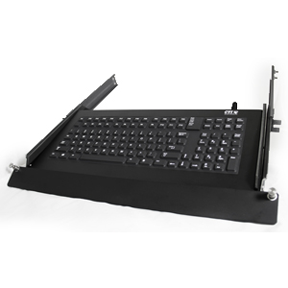 We have mentioned the product details of KI3700 Series Rackmount Industrial Keyboard. Sealed gold plated switch contacts.